Marketing is very crucial in every business entity. Through proper marketing, the entity will be profitable and will surely continue its operation for a long period of time. Hence, a lot of companies devote their time in creating marketing strategies and plans in order to improve their company’s systems and operation. Every company is striving to be on top of the competition and be on the spotlight for them to be recognized by the public and to gain more customers and potential customers. The management or key personnel in a company must constantly seek and identify opportunities for the company to grow and be more updated with the current trend. This is where strategic market planning is needed. Want to know more about strategic market planning? In this article, provided are the discussions regarding strategic examples. Additionally, in the next section, presented are the different examples of strategic market planning. What Is Strategic Market Planning? Strategic market planning is a process through which a certain company formulates marketing strategies and plans its implementations in the target market. This process helps in identifying the promotional opportunities and evaluates these opportunities for them to be applied to the company. The target market is identified through comprehensive research. You may also see define marketing plan and its purpose? 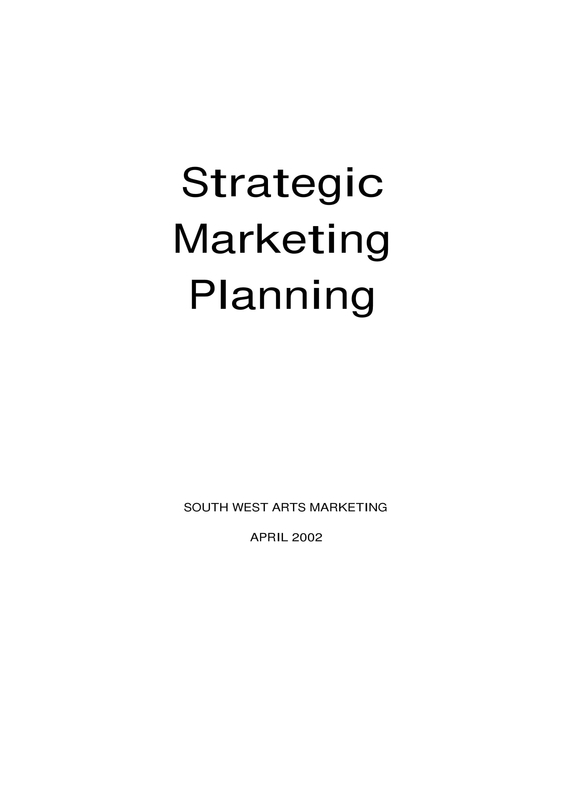 Although marketing is a challenging and complicated process and cannot be simply planned and implemented in a short period of time, strategic market planning can be done for both long-term and short-term goals. It considers various parameters to plan according to the target market and the trend in the economy. You must be well aware of the difference between your target market and any other customer. When you say customer, this pertains to anyone who drops by your shop to buy anything that you are offering. This may also include your target market. 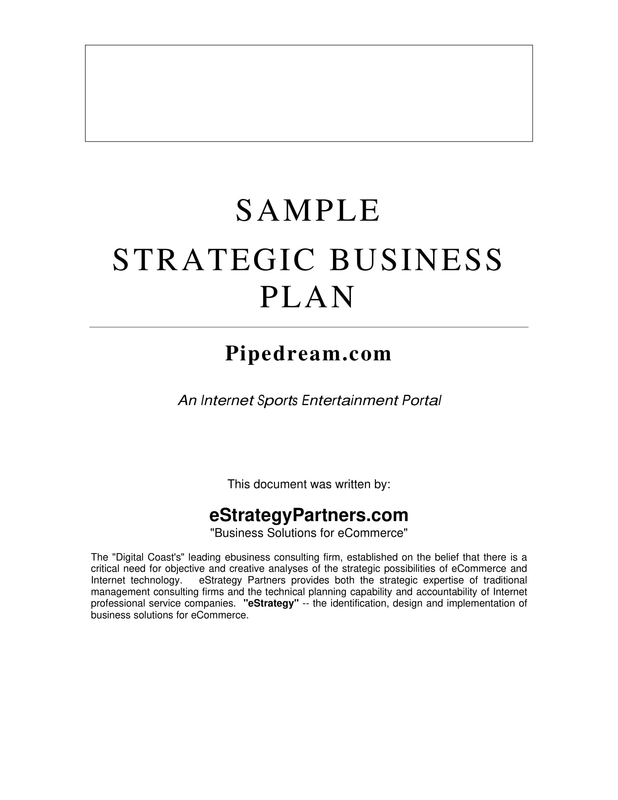 You may also see how to create an executive summary of a marketing plan. On the other hand, your target market are the ones whom you think are those who would buy your goods or avail your services for they answer their problems and provide them their needs as you are tailoring your goods and services specifically for them. Segmenting your market is the process of dividing your customers into subgroups, known as segments, by identifying their common needs, their characteristics, their interests, their lifestyles, or their demographics. In this way, you will know the common needs of each segment that you are going to address as well as how to address them. This is important since different market segments require different marketing programs, different offers, different prices, different promotion, or different distribution. 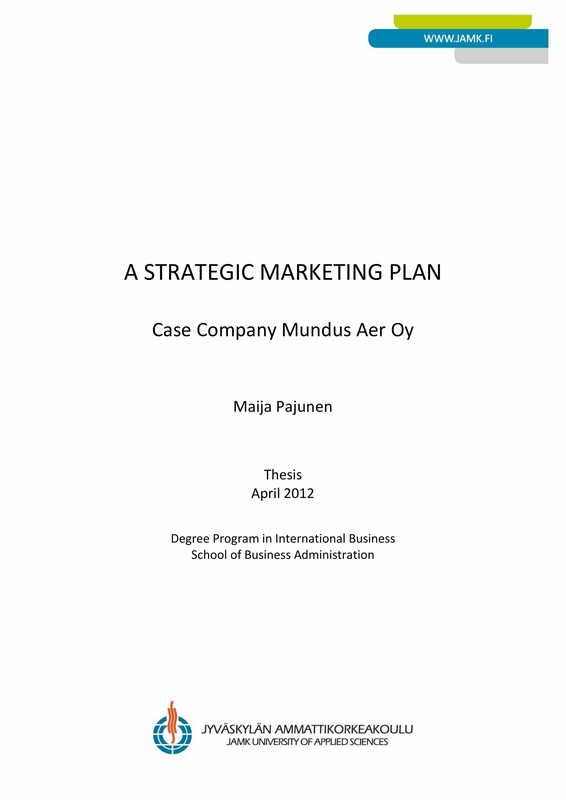 You may also like marketing strategy plan examples. After you have clearly identified your market and know their needs, you can now develop the actual marketing strategy that would specify the general plans on how you would introduce your goods and services, your marketing tools and strategies, the medium that you are going to use, and the step-by-step implementation of your plan. Company’s current positioning. 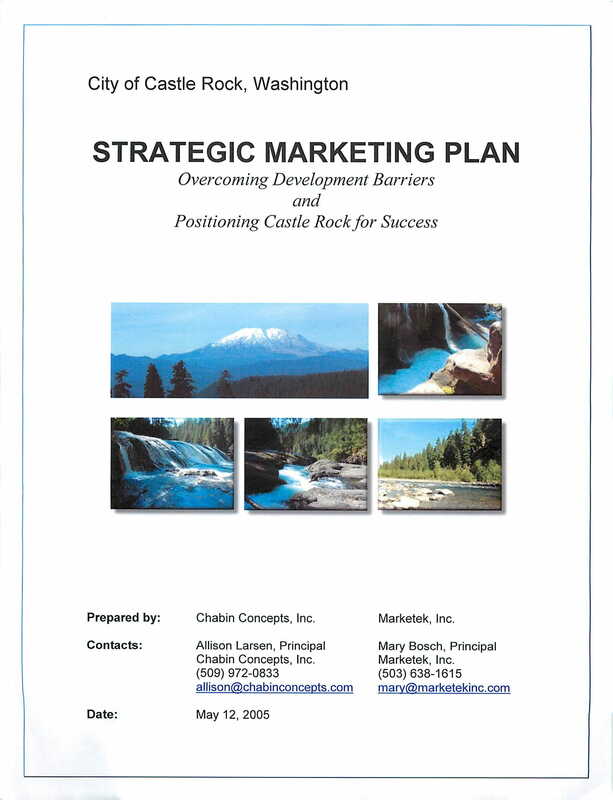 Your marketing plan must outline the current position of the firm regarding financial results for this will help and allow the planning team to identify the strategies that were previously used and implemented and can assess the success of the overall plan through the financial results. A SWOT analysis can surely help in identifying and revealing the current financial situation of a company. 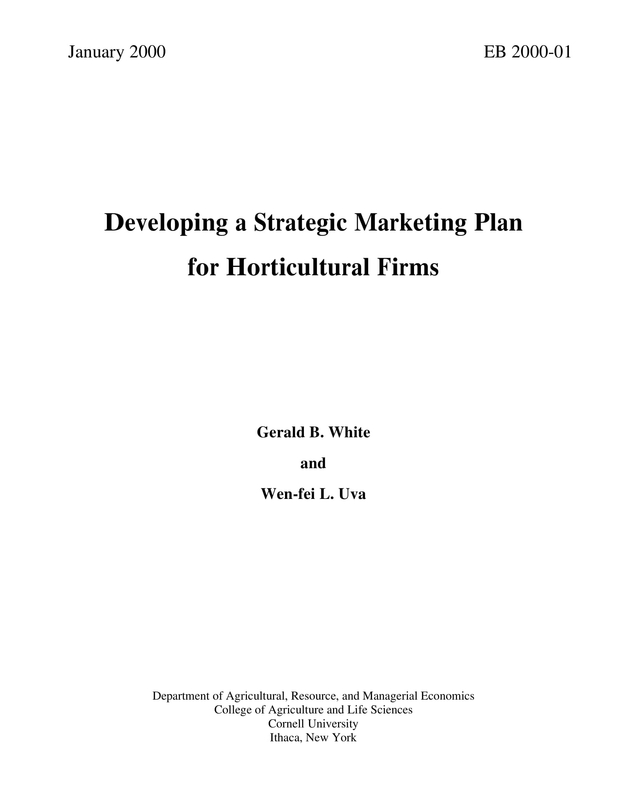 In your strategic marketing plan, it should list the organizational goals and strategies to be implemented by the company for the goals will inform the rationalization of resources in production, marketing, and distribution while the strategies will discuss the conversion of targets into realities or the implementation of the plans to make them happen. The plan should always assess the emerging or current market opportunities that can be possibly used by the company in the short and long term. This information is important in order for the planning team to identify the opportunity, plot them, and think on what to do about them. You may also see how to write a marketing plan for a business. As stated in the previous section, it is important that you clearly define the target market for your products and services for this will allow you to conduct more research on their needs, demands, and preferences so you can meet them. Lastly, a realistic strategic marketing plan must also have a realistic marketing budget as well as a realistic implementation period. There must also be proper segregation of duties and responsibilities among the members of the management team. To attain success on your business, a marketing plan must be developed and properly implemented. This plan may change over time depending on the needs of your business. 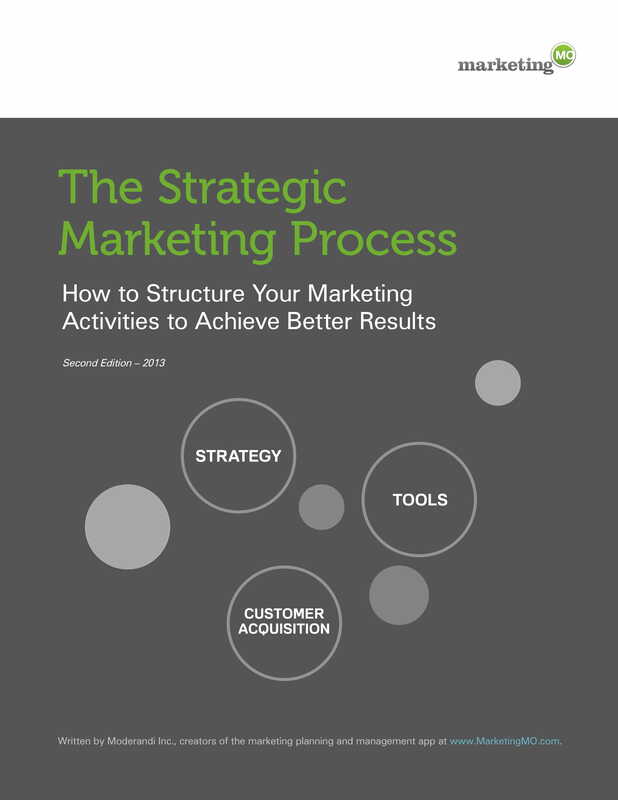 Here is a simple guide to develop a strategic marketing plan. 1. Set goals and objectives. Before you start creating a marketing plan, you must have a purpose for creating it which is based on the long-term goals of the company that guide all of your efforts. You must break down these goals into specific objectives which must be measurable over a certain period of time. Your professional goal is the final outcome that you want to achieve while your objectives are the small steps you need to take in order to achieve those goals. A simple SWOT analysis can surely help you in determining the situations that you are currently facing while you market your business. Your strengths are the things that give you an edge and advantage over the other, while your weaknesses are the things that you can still improve. The economy, the technology, your competitors, and other external factors contribute to the opportunities and threats that you may be facing. Part of your marketing strategy and your brand is your messaging. In starting to create your message map, you can start by writing an XYZ statement containing the basic information about your business and other messaging related to your products, clients, and service. These can then be incorporated into your general mission statement and other marketing materials. 4. Create a mission statement. You must create a mission statement that outlines the values that guide your business. Make sure that the people who interact with your business are aware of them and that your message reflects your brand honestly. This general statement can make or break your clients’ trust. For your marketing strategy to be successful, you must incorporate many different tactics, both online and offline, in your strategy. The factors in this decision are your goals, target audience, industry factor, and many others. You must know and decide which tactics fit your business and list them in your marketing plan. Then, determine how they can help you reach your smart goals. When it comes to marketing strategies, the time of a businessman is very precious. Hence, you must create a timeline based on the goals and objectives that you have established that will determine the completion of your objectives. Do not forget to allow extra time for unexpected events that may cause delay to some of your goals. You must create a budget for your marketing strategies because this will determine what you can and cannot afford. You must choose the most cost-effective options for your business and you must choose the amount you can afford to pay on your advertising on social media and search engines. You can still have access to these Internet sites even with the smallest of budgets. When you are already done creating a timeline and a budget, you can now assign these tasks to the members of your team. It is better that there is a proper segregation of tasks, duties, and responsibilities not only to avoid embezzlement of funds but also to easily get the job done since everyone will be assigned to a specific task. You may also see email marketing plan examples. You must also measure the effectiveness of your marketing strategies for this will inform your current plan as well as your future efforts. Your website, social media, and other marketing materials are sources of this information. You can check them and assess the impact of your marketing strategies to your target market and in the general public as a whole. There are a lot of free online analytics tools available to help you track your effectiveness. Remember to track only those data that are relevant to your business for the measurements to be effective. 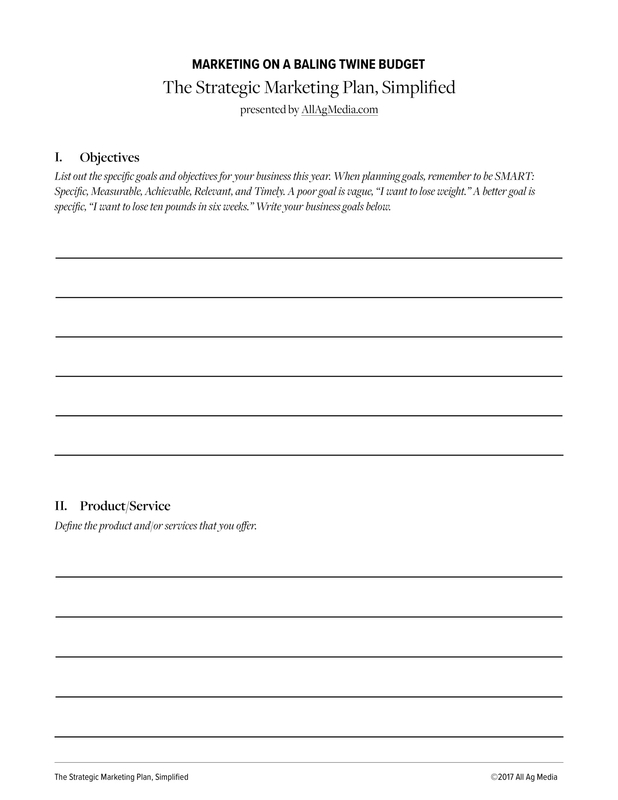 You may also like marketing action plan examples. It is highly recommended that you should pay a visit to your marketing plan once a year and make adjustments as necessary. You must write your marketing plan anticipating this growth and changes in mind so you can measure it. For now, you must follow industry trends to have an idea that you can add to your own strategies. 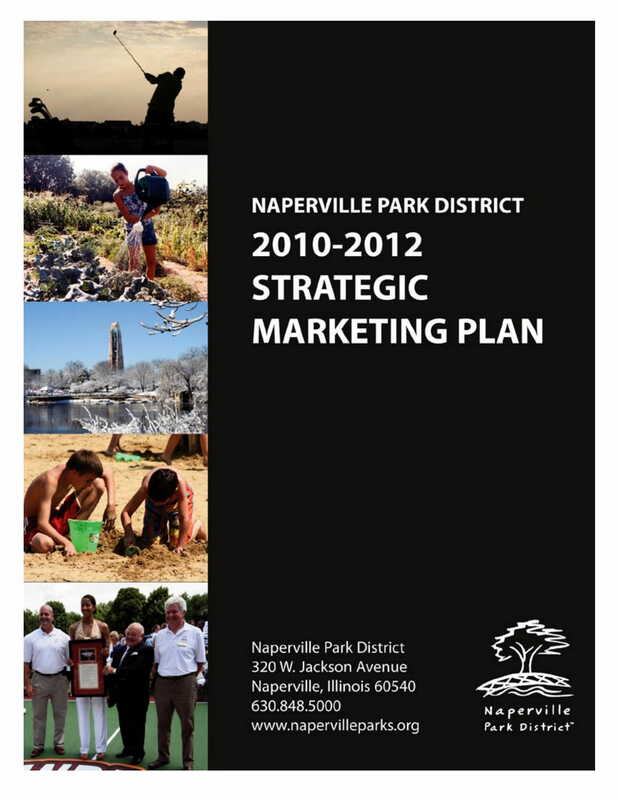 You may also check out event marketing plan examples. Stay current and be updated in your marketing plan as well as in your implementation for you to stay on par with competitors. A strategic marketing plan is important in every business entity in order to plan the upcoming tasks in reaching the goal of the company. The company must be implemented well for the success of the company. There are three stages of strategic market planning, namely segmentation of the market and customers, profiling of the market segments, and development of the actual marketing strategy. Furthermore, there are five components of a simple marketing plan which are the company’s current positioning, goals and strategies, market opportunities, target market, and marketing budget. 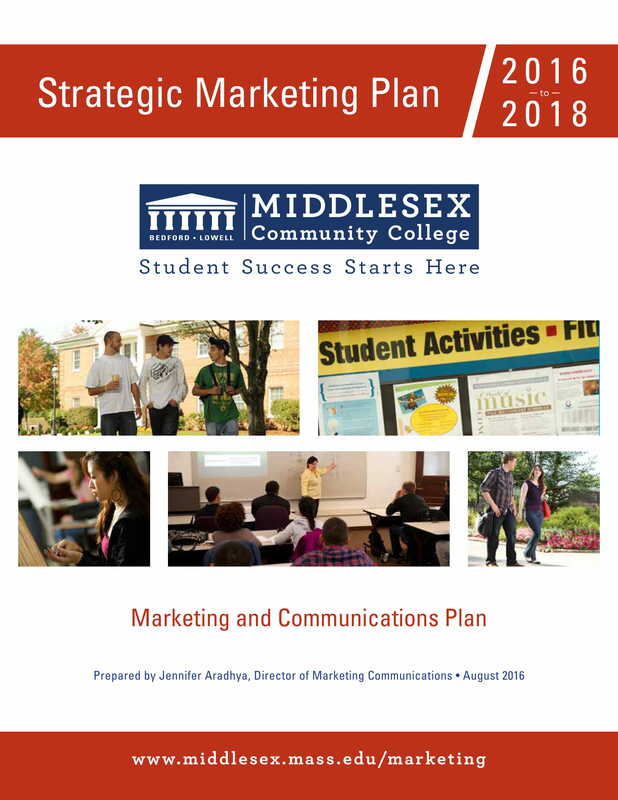 In developing a strategic plan, the simple steps are as follows: set the goals and objectives, analyze the current situation, map your messages, create a mission statement, outline your tactic, create a timeline, create a budget, divide the tasks, measure your strategies, and lastly, stay updated. Finally, whenever you find yourself stuck in creating a strategic marketing plan, you can refer to the examples presented above.